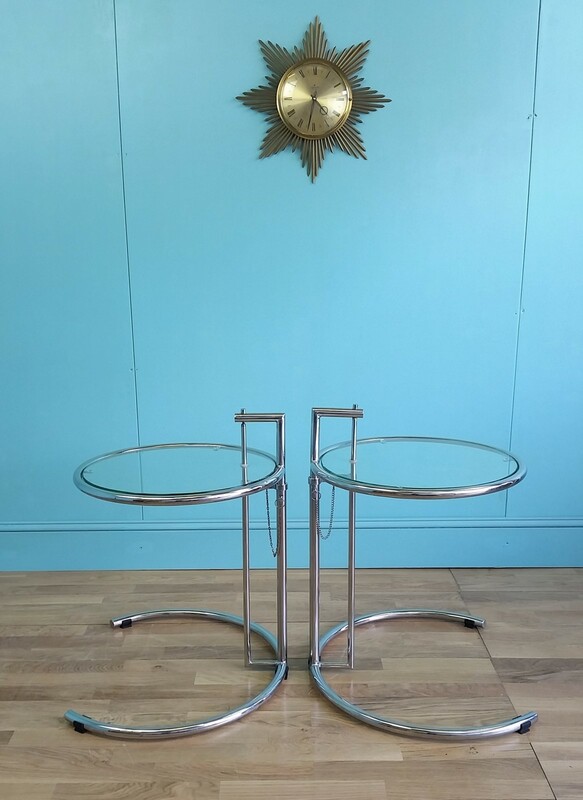 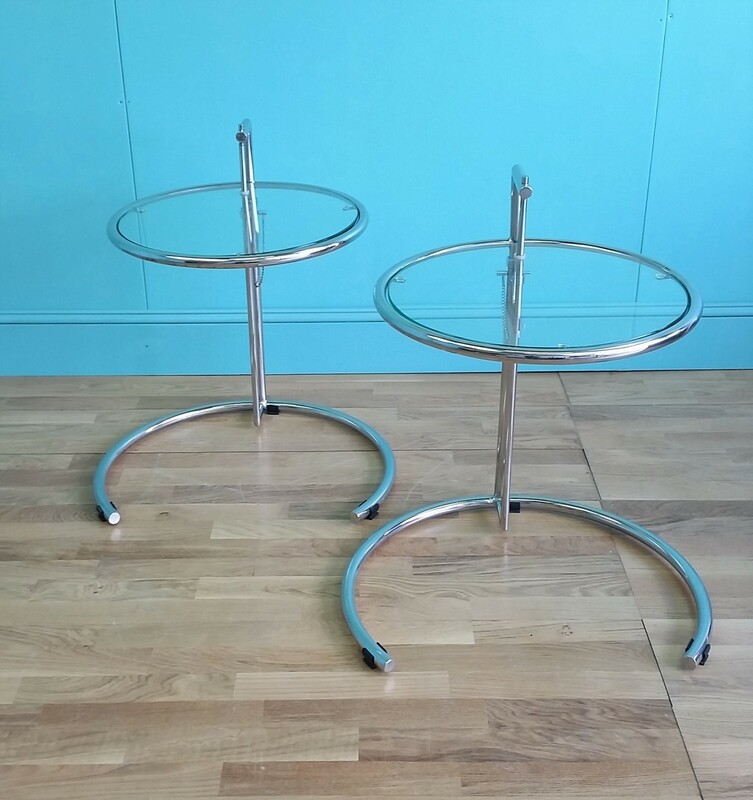 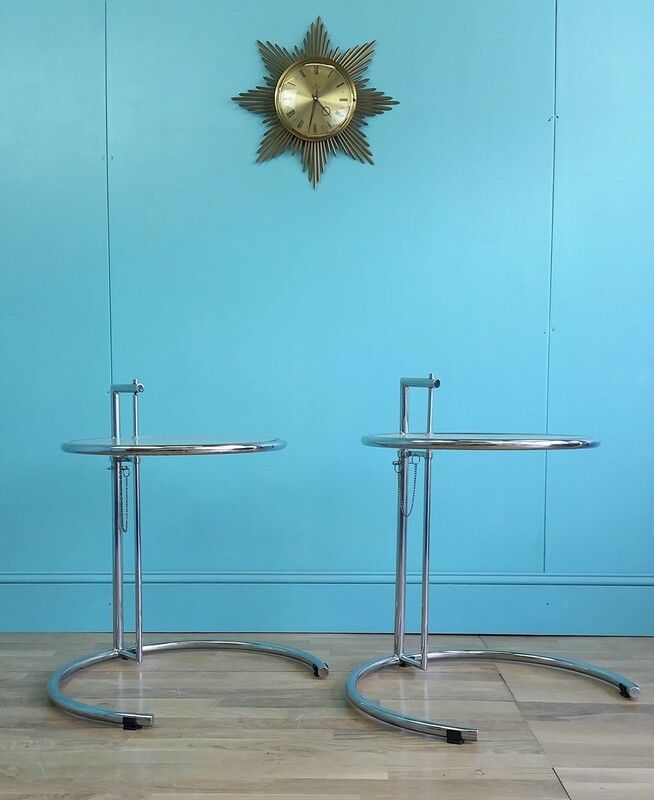 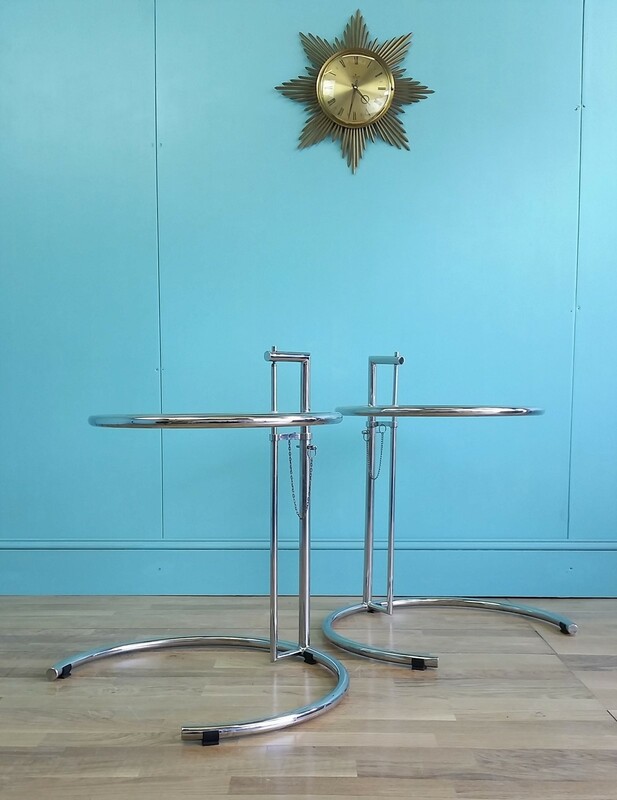 This pair of chrome side tables with glass tops circa 1960-1970 are in good condition, with minor wear to the chrome but no cracks or chips to the glass. 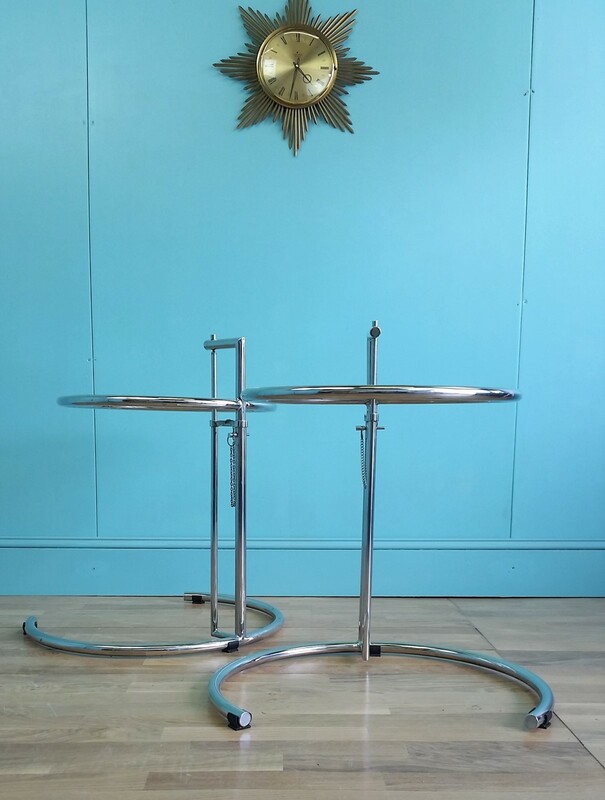 Both tables can be adjusted in height and are in full working order. 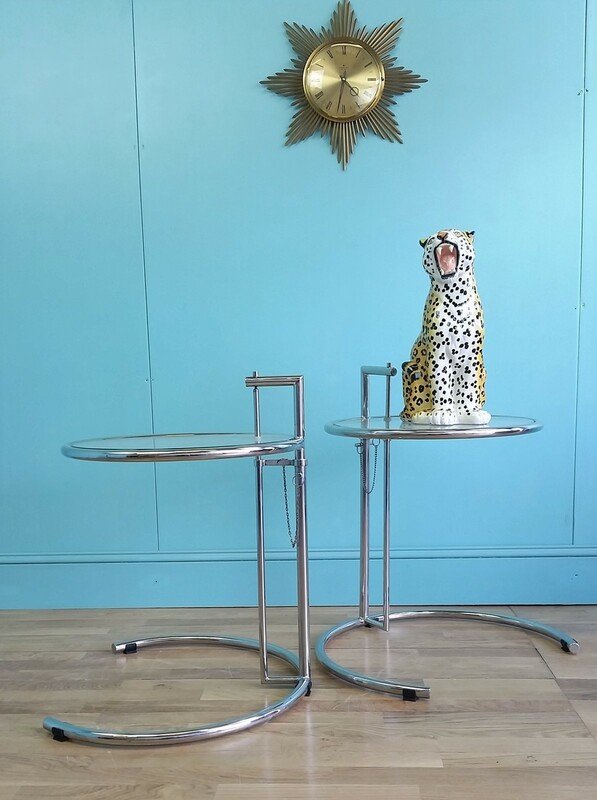 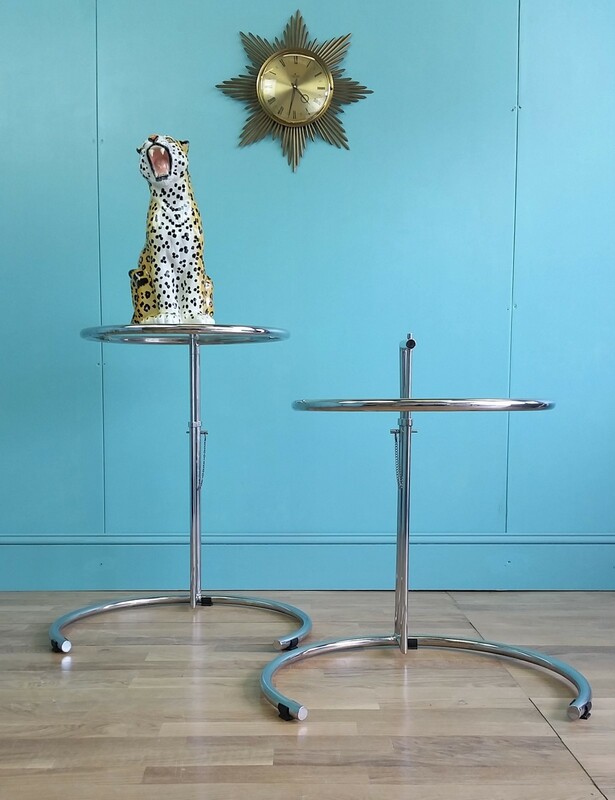 Brocante Furnishings is a friendly family run business, who discover and source an eclectic mix of furniture, tableware and vintage items from the brocante markets of France. 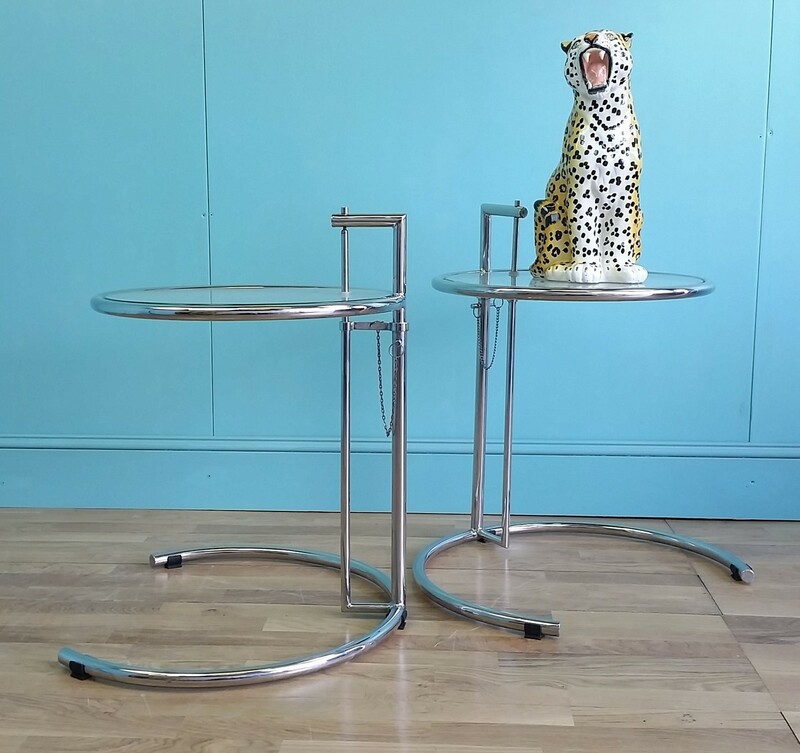 We will be happy to answer any questions, please contact us with any enquiry.